It’s not quite “The Bleak Midwinter” of the carol but the sunshine and the pure blue skies of Provence are calling. Two solutions to this: hop on a plane or recreate a little bit of Provence here. The second alternative is the easiest and the cheapest too and saves the hassle of travelling when everybody is doing so. 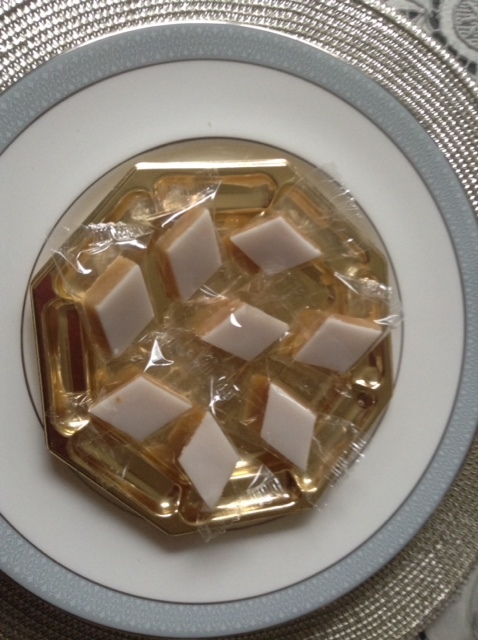 By far the most exciting part of the Christmas menus is the making of the Treize Desserts. (The number 13 refers to Jesus Christ and the 12 apostles at the Last Supper). When people hear of this number of desserts, they think we are very greedy indeed. Not so, but instead of making a Christmas pudding and a Christmas cake, I prefer to keep to the beautiful traditions of Provence. We still eat the pudding and the cake, but I don’t make them. There is no question of embarking on the preparation of something difficult, although it is a little time-consuming. 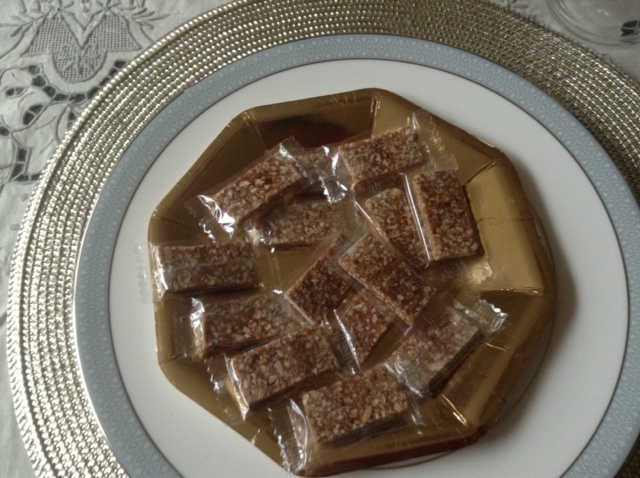 It is still a pleasure as the whole family can join in the making of these little sweets. 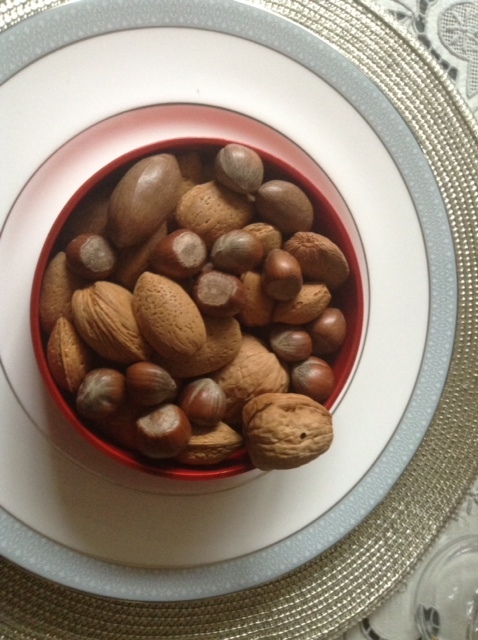 Normally they are consumed after the Gros Souper (Big Supper) which is eaten before going to the Midnight Mass. We eat them over the 12 Days of Christmas, and replenish them almost daily, depending on the sweet tooth of the family and guests. 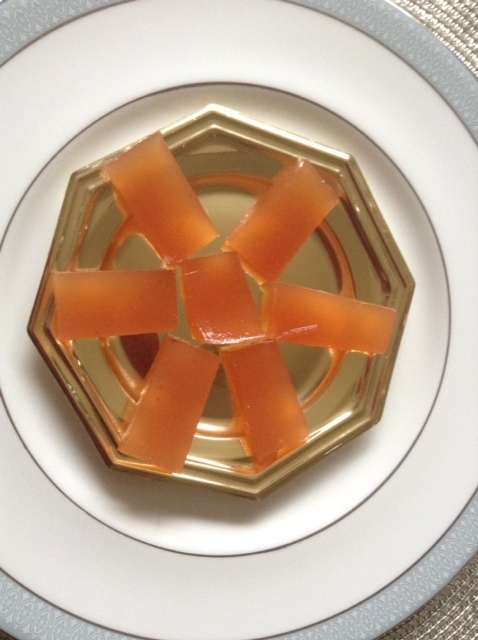 I had started with the Pâte de Coing (Quince fruit Jelly) in November and made a slight variation with Quince and Apple fruit Jelly. 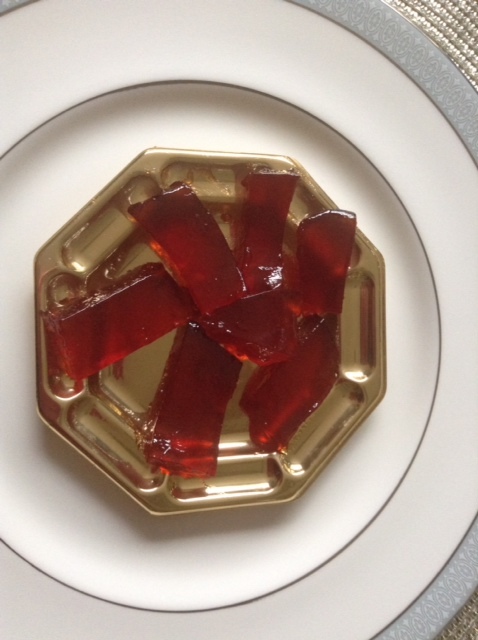 Another jelly followed : gooseberry fruit jelly, the fruit being the only ones rescued from the onslaught of the pigeons on our fruit trees last Summer. Recipes follow. 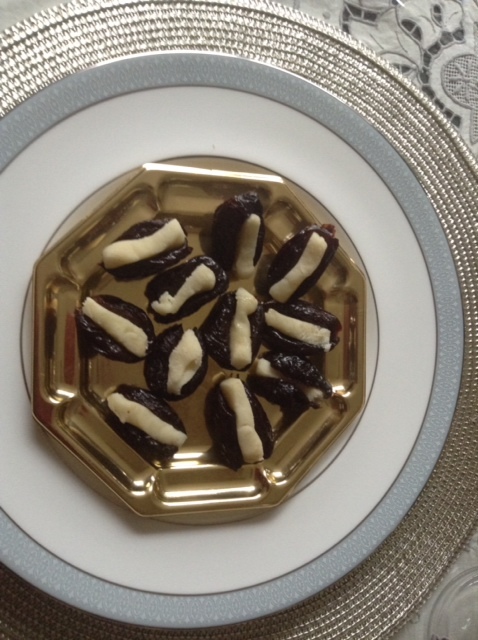 Then the dates, prunes and walnuts with a marzipan stuffing. 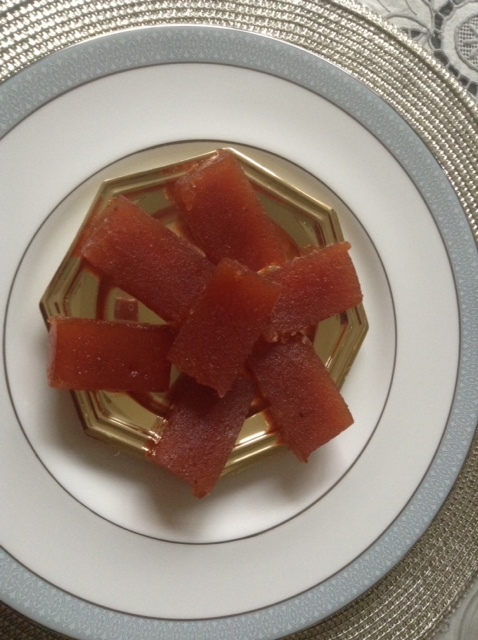 Again, something easy and pleasant to nibble on with a glass of champagne or liqueur. Recipes to follow. The 2 nougats: the white and the black which are the symbols of good and evil,and the nougalettes, not made by me but by the marvellous confiseur in the little village of Saint Didier, in the Lubéron, who has the expertise I do not have. 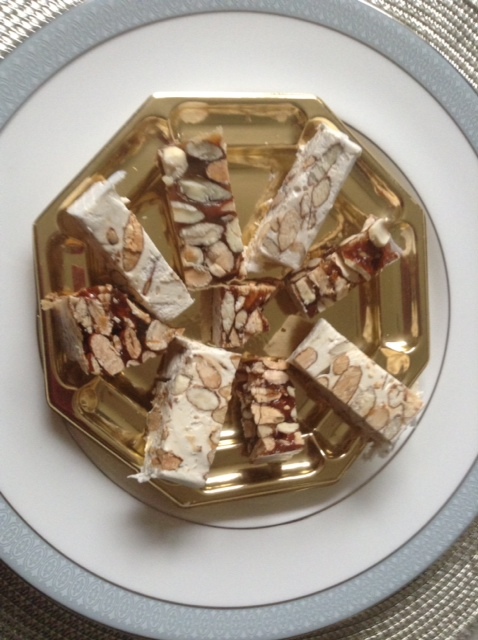 The calissons, also made by the same confiseur. I owe the discovery of the nougalettes to a much loved aunt who used to send us a big parcel of Provençal delicacies so that we could enjoy a traditional celebration of Christmas when we were not able to be in Provence. 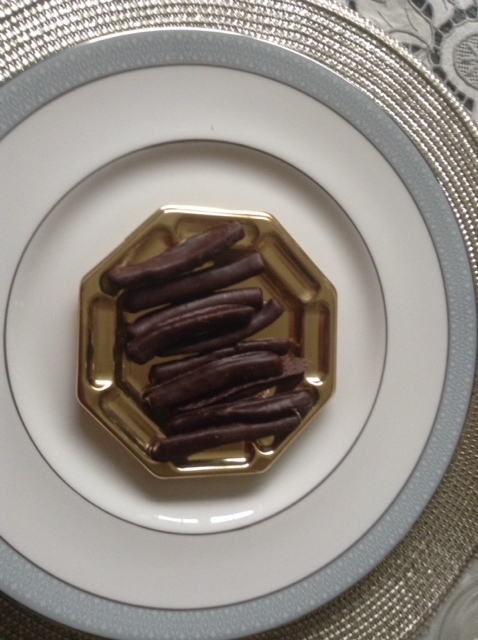 This year there was not enough time to do my own orangettes (candied orange peel coated in dark chocolate), so they were also bought and travelled from Paris. 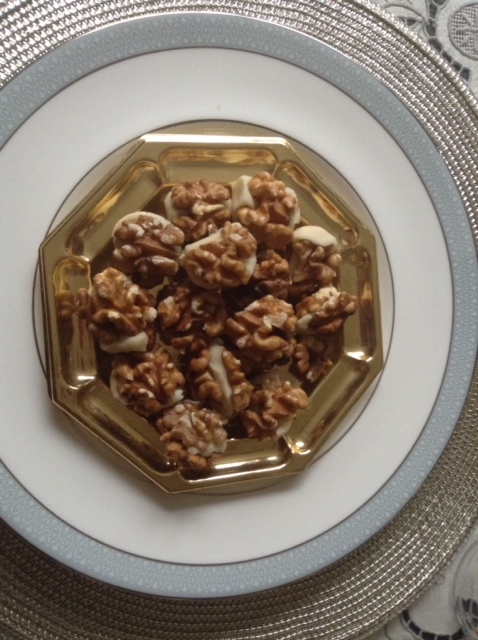 Then follow the 3 Mendiants (beggars): walnuts, hazelnuts and almonds. 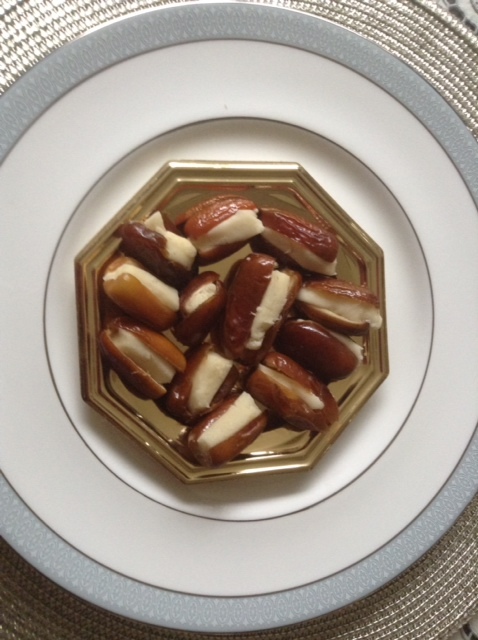 Great as they only require cracking and are very healthy. 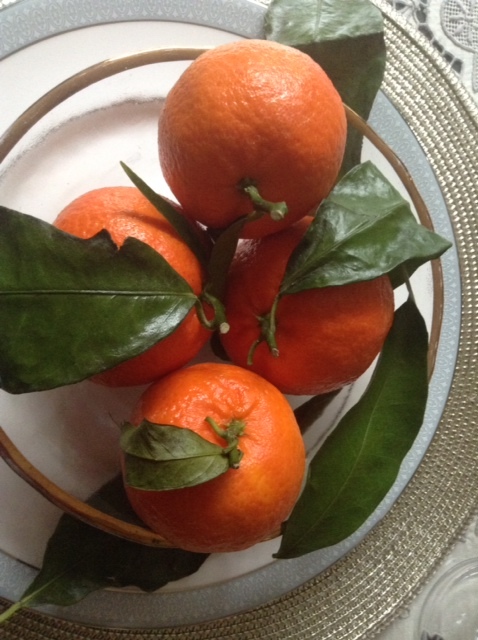 To counteract the effects of sugar, the truly organic mandarines with their shiny green leaves flew all the way from Corsica via Paris but t he Corinth raisins did not fly in from Corinth! (at least not especially for us). 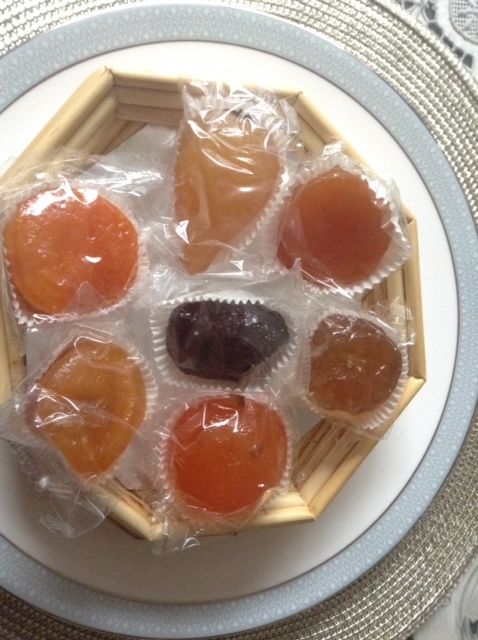 The last addition which requires no preparation on my part are the Fruits Confits (candied fruit), another speciality from Provence where the fruit ripen naturally in the sunshine, which include the “marrons glacés” (candied chestnuts). Another attraction of these 13 Desserts is that they are also offered to visitors, together with a glass of liqueur and it is lovely to go back to the dining room from time to time and fill a little plate with various bite-sized delicacies. I am told that my maths are not great as our 13 Desserts usually exceed this number.To this, I can only only say that one needs to refer to the title of this blog. So, will we be hitting the gym because of these traditions? The dreaded electronic scales will deliver the answer, but usually, the overindulgence is still kind to the waistline.